Refers persons ages 60 and over with limited income to an attorney in their area who will prepare particular legal documents for a modest preset fee. Homebound individuals can be served in most areas. Wills, living wills, powers of attorney, small estates, and deed changes. The first meeting with the attorney is free, if you decide to have the attorney represent you, services will be at a reduced cost. You must meet certain income and asset guidelines. 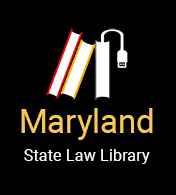 The Sixty Plus Legal Program, for all parts of the state except Baltimore County, Baltimore City, and Montgomery County is administered by The Legal Aid Bureau's Maryland Senior Legal Helpline. Assets Limits: You must also have limited assets. Your assets cannot be higher than $20,000 if you are single and $40,000 for a couple. Your house, car (two cars for a couple), and personal effects are not counted as assets for Sixty Plus. Bank accounts, stocks, bonds, IRAs, 401(k)s, non-residence real property, and other assets that can be liquidated except those listed above are counted.